It's Halloween so we have a trio of special covers today to finish off the month of horror comics! 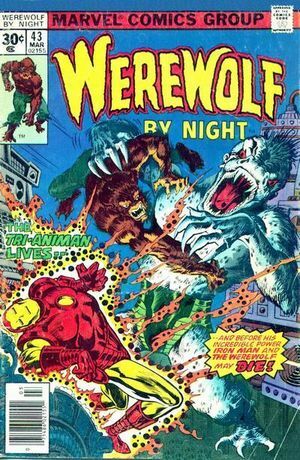 First up is the final issue of Werewolf by Night featuring an appearance by 'ole shell head himself, Iron Man. He teams up with the Werewolf as they attempt to take out the Tri-Animan! It would not be Werewolf's final appearance in the Marvel Universe as he still is around even today!